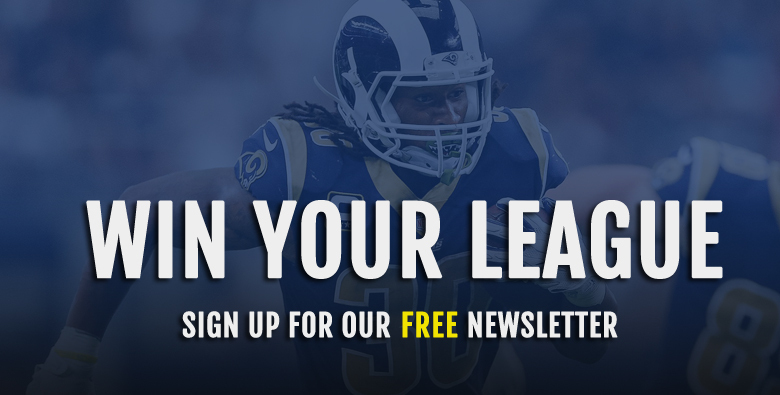 With two weeks of NFL action now in the books, things will quickly start to take shape when it comes to determining a player’s true value in fantasy football. Trends will begin to form an average draft position are more or less irrelevant when it comes to trade value. This is one of the key factors that you need to remember when targeting players to trade for or when debating which players you think belong on the trade block. ADP no longer matters. Re-wire your thinking if need be. Alvin Kamara is an easy example of that. Last year, Kamara was a last round draft pick or undrafted entirely in a majority of leagues. We all know what he went on to do after that. A great part of being able to look past ADP early in the season is that it gives you an edge over your league-mates who are still whining, “But he was my third round draft pick!” The same people who are still thinking this way will be more willing to trade someone like Kenny Golladay for example because he was a bargain based on ADP. This is one of the only things ADP is really good for at this point in the season is helping you determine value in players who we were all too low or high on heading into the season. But you can’t be afraid to cut an underperforming player loose just because you spent high draft capital on them. With that being said, let’s take a look at some players you should be targeting to buy low on or, getting out while you can and selling high. 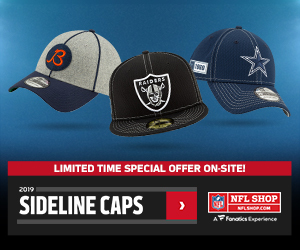 Now that we are two weeks into the season it’s much easier to start taking shots at trading for players who have started the season slow that cost owners a high draft pick. 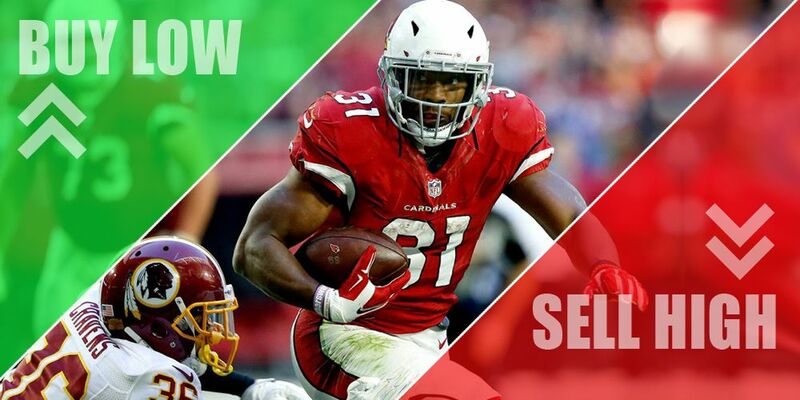 David Johnson falls right into that category as the Cardinals have horribly under-utilized their all-world talented running back. Pro Football Focus’ Scott Barrett has a must-read thread on Twitter breaking down everything that has been wrong with D.J. so far this season. The summary of Barrett’s analysis breaks down that the majority of the issue with Johnson to start the season is due to bad offense (45%) and pace of play (25%). The pace of play factor in Barrett’s analysis is definitely a standout, as noted, the Cardinals are running 12.4 fewer plays per game this season compared to 2016 and it’s costing D.J. 4.66 fantasy points per game based on his usage in ’16. The Cardinals have been next-level awful to start the season. The offense has scored just six points total (thanks to Johnson) in two games and are last in the league in yards, as AZCardinals.com‘s Darren Urban reports. Sam Bradford is currently on the hot seat as he threw for a grand total of 90 yards on Sunday. A change at QB to rookie Josh Rosen could help spark the offense, but the root of the problem lays all the way at the top with offensive coordinator, Mike McCoy. Two weeks in and I have seen mass hysteria amongst DJ owners online, hinting that this is a great time to buy low on 2016’s top overall fantasy performer. I have Johnson in multiple leagues as I saw him as a great bet to finish as the overall RB1 again this season. I’m not selling at all, but it’s obvious there are plenty of owners who probably will. It will be tough to get D.J. in a 1-for-1 deal this early in the season unless you are crazy deep at WR perhaps and can get an owner to buy high on maybe Emmanuel Sanders or Brandin Cooks. A 2-for-1 deal is most likely your best bet to get Johnson on a fair deal for both owners. I would target mid-tier RB2 or Flex players who have a decent performance so far on their 2018 résumé but are also in crowded backfields like Dion Lewis or Carlos Hyde. Maybe try and sell high on Phillip Lindsay (more on that below). Sweeten the deal with a low-end WR2 or WR3 type like Demaryius Thomas, who is a decent sell high-ish player, or maybe even go low with a Kenny Stills or Ted Ginn type of wideout who have their stats padded with big game potential but are generally inconsistent. Johnson is too good of a player to be stymied by poor scheme and I think we see him turn this season around and still finish out as a potential top-5 RB in fantasy football. If you’re looking for a potential WR1 on the cheap this week, look no further than Allen Robinson. The former Jag is looking like a solid candidate for an incredibly heavy target share as the clear-cut top receiving option on the Bears new-look offense. Robinson is coming off a decent performance in Week 2 where he caught 10-of-14 targets for 83 yards but has yet to find the end zone this season. 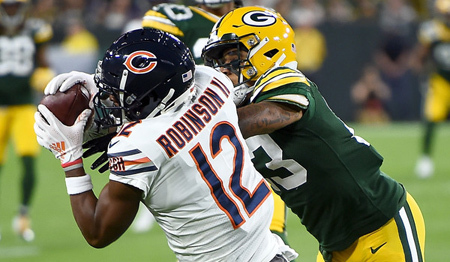 So far, Robinson has easily led the Bears in receptions and yardage each week. 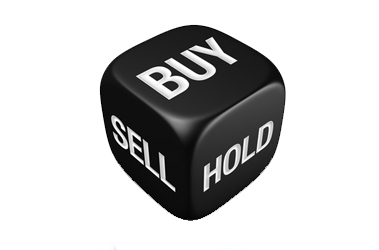 When looking at DailyRoto.com’s premium tools, you will find that Robinson has a commanding 30.88% market share of the Bears total targets. This is is good enough for top-10 in the league through the first two weeks and ranks him right above the likes of Travis Kelce, Adam Thielen and Odell Beckham Jr.
With the opportunity Robinson is seeing, there should be plenty of room to grow. His current 10.3 yards per reception marks a career low, so I would expect that number to rise a bit. Robinson should also be a more dominant threat in the red zone going forward as he has shown the ability to score 14 TD’s back in 2015. The big game hasn’t come yet which gives you a great shot at nabbing the top option on an offense that could be on the rise. Another player to target if you want to aim for the stars this week in trade negotiations is Chiefs RB, Kareem Hunt. Last season’s leader in rushing yards has yet to realize the big game explosions that made him famous last season as rookie Pat Mahomes has taken all the spotlight thus far. One of the only concerns coming into the season for Hunt was the potential re-emergence of former lead back Spencer Ware to the lineup. Ware hasn’t even been a minor threat to Hunt’s workload however, as Hunt ranks fourth amongst running backs with an 81.8% share of backfield opportunities this season according to PlayerProfiler.com. This is actually up from the 78.3% share Hunt saw last season without Ware behind him. A key factor to Hunt’s success that has been missing so far this season is his involvement in the passing game. Hunt has only seen 2 targets so far this season after averaging almost 4 targets per game last season. This has capped Hunt’s ceiling so far as a pure runner but, I wouldn’t expect that to be a trend that continues. As Mahomes grows and matures throughout the season, I think we will see him appreciate having such a reliable, playmaking checkdown target in Hunt. Andy Reid is also too good of a coach to not utilize Hunt more creatively down the road. The team simply hasn’t needed Hunt’s services to win games through the first two weeks but that won’t be the new normal here. Hunt is a player who obviously won’t come dirt cheap on the trade market right now, but he also isn’t untouchable. Refer to the David Johnson piece and approach trading for Hunt in a similar manner as you would for Johnson. Nothing feels worse than seeing your first round draft pick fail you. If you can acquire these types of guys now while buyers remorse is slowly setting in for opposing owners, it could be a move that potentially wins you a trip to fantasy title-town. 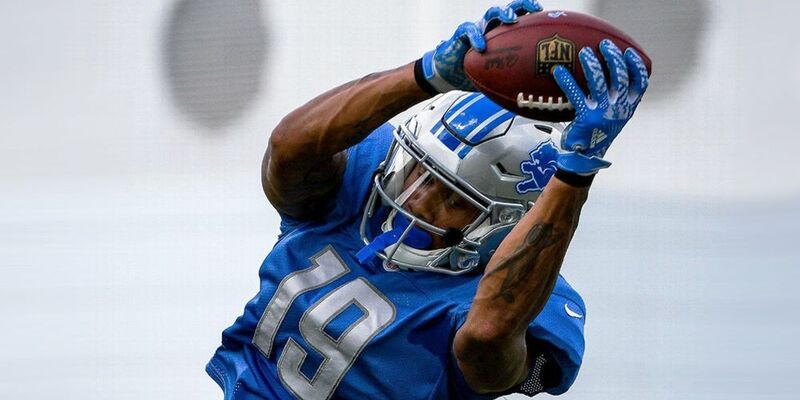 An underrated player I am looking at buying low on this week is Lions second-year wideout, Kenny Golladay. Marvin Jones’ overall WR12 breakout last season was the big story then and a similar narrative may ring true at the end of this season for Golladay. We’re only two weeks in but so far Golladay is leading the Lions with 203 receiving yards which is also good for 10th in the league amongst wideouts. Golladay’s 13 receptions are also only 1 behind Golden Tate and Theo Riddick. What’s nice about Golladay is that he has shown that he isn’t a volume dependent talent. His 80 yards after the catch ranks eighth best amongst wideouts this season per PlayerProfiler.com. He also ranked 13th amongst wideouts last season with 1.97 fantasy points per target. The only edge I can really see that Marvin Jones has over Golladay at this point is that Jones has a solid 5 red zone targets compared to Golladay’s 1 this season per DailyRoto.com. Detroit has long been one of the heaviest passing offenses in the league and have actually finished top-2 in pass percentage in each of the last three seasons. There should be plenty of targets to go around for all three Lions receivers to have a solid role on this offense. The way things are shaping up, Golladay would likely finish as the teams WR2 with Jones getting potentially more TD’s. Based on what people paid for Golladay on draft day, they probably are a little surprised by the value they’re getting right now. Also working in your favor is that Golladay hasn’t quite established a strong name value yet which means you should be able to get him cheaper than what his actual value is. As of right now, Golladay is a solid WR2 who you can probably buy as a WR3 or Flex. We’re heading into Week 3 of the regular season as DeSean Jackson is leading the league with 275 receiving yards and Ryan Fitzpatrick is leading the league with 819 passing yards. I could probably stop this one right here but lets look a little further just for fun. While Jackson has led the league in three separate seasons in yards per reception, his current pace of 30.6 YPR would rank second highest all-time in a single season behind only Boston Yanks’ Don Currivan way back in 1947, per pro-football-reference.com. A good selling point, however, is that Jackson’s 17.5 career YPR is the highest career average amongst active NFL players. You’ll want to try and spin this as less of a fluke to potential buyers and that is the icing on the cake. In the 10 seasons Jackson has played, he has only managed to finish all 16 games twice. 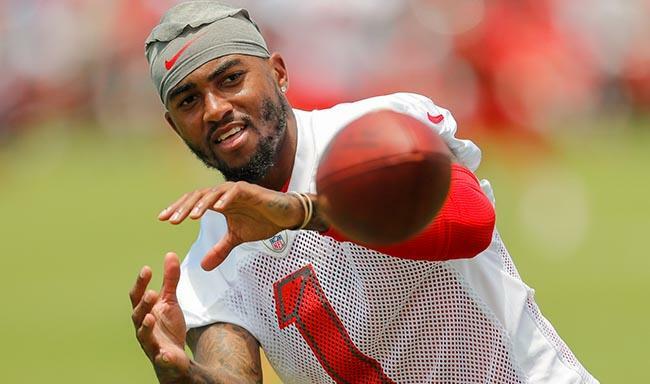 He has already been dealing with some minor injuries this season and has Mike Evans and Chris Godwin fighting for a serious share of Tampa Bay’s targets. Not only are the numbers Jackson is putting up incredibly unsustainable, he’s also a good bet to miss a portion of the season at some point here. I also hate to rain on the Fitzpatrick parade because he’s such a lovable guy but, we know who he is. This isn’t some new talent coming in that the league has never seen before like Pat Mahomes. This is Fitzpatrick’s 14th season and he boasts a career average of 206 yards per game and 6.8 yards per pass. Fitzpatrick is the proud owner of a 50-70-1 QB win/loss record and has thrown 137 interceptions in 135 games. Sorry to be a downer. The funny thing about all of this is that Fitz and Jackson may actually have another big game in them this coming week at home against a Steelers team that just got obliterated by Mahomes for 326 yards and 6 TDs. 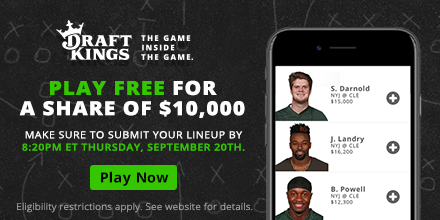 This could give you a solid two-week window to start shopping Jackson and get a premium return for a player who is guaranteed to regress. The tight end position is easily the most volatile position in all of fantasy football. This is clear in the fact that Jared Cook is your overall TE1 heading into Week 3. The crazy part about this is that in a position reliant on TD’s for success, Cook has zero so far this season. Cook’s ranking is currently being completely buoyed by his monster 180-yard outing in Week 1. Cook could have sat out last week and would still have more receiving yards this season than Rob Gronkowski. This is the kind of crazy stuff some people buy when you only have two weeks of stats to go off of. Cook came crashing back down to earth in Week 2 though with only 4 receptions for 49 yards, reminding us all of the middling TE2 he really is. It should be more of the same as the season goes on. Cook will offer mild value as a matchup-based starter on occasion but as a player who hasn’t eclipsed 3 TD’s in a season over the last five years, there isn’t much to get excited about here. Even with a history of average performance, the tight end position is so fickle that you can still offer up Cook to tight end needy owners and he will have some value. Sell high on Cook’s current TE1 ranking and see if you can’t package him up with another mid-tiered talent to try and secure a more consistent running back or wide receiver that offers every week Flex appeal. One of the biggest surprises in the league so far is the success that Broncos running back Phillip Lindsay has seen. 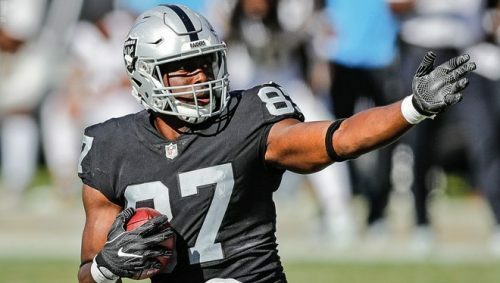 Lindsay currently ranks third in the league with 178 rushing yards behind only Joe Mixon and Matt Breida. Just as we all expected. Lindsay was also one of only three running backs that had over 100 rushing yards last week. While Lindsay is a coveted, early-season waiver wire darling, savvy fantasy owners would be wise to move the undrafted rookie. The Broncos are content riding the dreaded “hot hand” approach at the moment, and it really seems like it’s only a matter of time before third-round draft pick Royce Freeman inches closer to a heavier workload. It wouldn’t be the first time that an undrafted player makes an impact on a team (see: Arian Foster) but, with the amount of competition and lack of lights out quarterback play on the Broncos offense, things will catch up to Lindsay before you know it. The Broncos get a tough matchup against the Ravens this week who have given up the second-fewest fantasy points to running backs this season. You should sell Lindsay now as an RB2 while he’s still a hot name and before he likely descends into being more of a matchup-based Flex play going forward.